How to upgrade your idevice to iOS 8.1 as jailbreakable? The latest iOS 8.1 updates now available to download & install for everyone with compatible devices (iPhone 6 Plus, iPhone 6, iPhone 5s, iPhone 5c, iPhone 5, iPhone 4s, iPad Air, iPad 4G, iPad 3G, iPad 2, iPad Mini 2, iPad Mini, iPod Touch 5G). 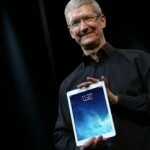 The modern iPad Air 2 & iPad Mini 3 devices are coming with iOS 8.1 out of the box. But others have to download & install iOS 8.1 update on their devices. 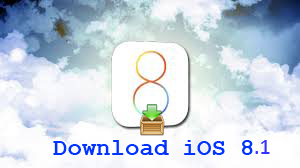 There are several methods to download & install iOS 8.1 to your device. The OTA (Over The Air) update is the most famous method to iOS update. But there are few issues. iOS 8.1 OTA update requires around 6 GB free space allocate from your device memory from updated to iOS 7.1.2. Therefor it is necessary to delete some data important for you. Otherwise it may be caused some issues when you jailbreak your device if you update OTA. So, the best method of update your device to iOS 8.1 is Restoring your device with iTunes. The best way of upgrade your device is Restoring to iOS 8.1 with iTunes. Why? It helps you to get more reliable jailbreak experience. Avoids unnecessary loosen of disk space. OTA update takes more memory space from your device memory. Download and install latest iTunes version (iTunes 12.0.1) for Windows / Mac. Download iOS 8.1 firmware from here to your computer according to device model. Connect your device to the computer using USB cable. It is best to backup your device full using iTunes before restore to iOS 8.1. Then, you can use iTunes to put your data back on the device after restoring. Now you are able to jailbreak your iOS 8.1 device using Pangu8 with install Cydia without any doubt.